Unholy Guacamole | Laura's "Rules"
While I was stewing unhappily over the massive fail by the Food and Drug Administration to ban the dangerous toxin, Bisphenol-A, from our food supply, Maya and I made up some super simple (and healthy) guacamole. Only directions: Pretend it’s the FDA. Smash into a watery pulp using a large, BPA-free spoon. Very easy, and the right balance of flavors. Maya liked it too. 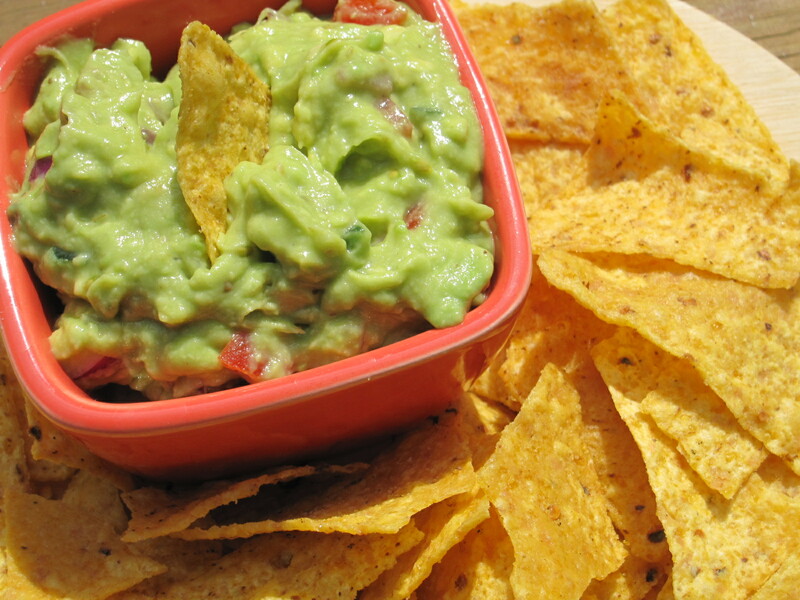 This entry was posted in Recipes & DIY and tagged Bisphenol-A, BPA, environmental health, FDA, green, guacamole, Maya, mommy blog, parenting, recipe, tips by Laura MacCleery. Bookmark the permalink. Looks delicious! The only thing i would add is some crushed garlic (but I add garlic to everything) and a healthy fantasy of crushing the testicles of some FDA official in your stainless steel kitchen tool! Cheers!